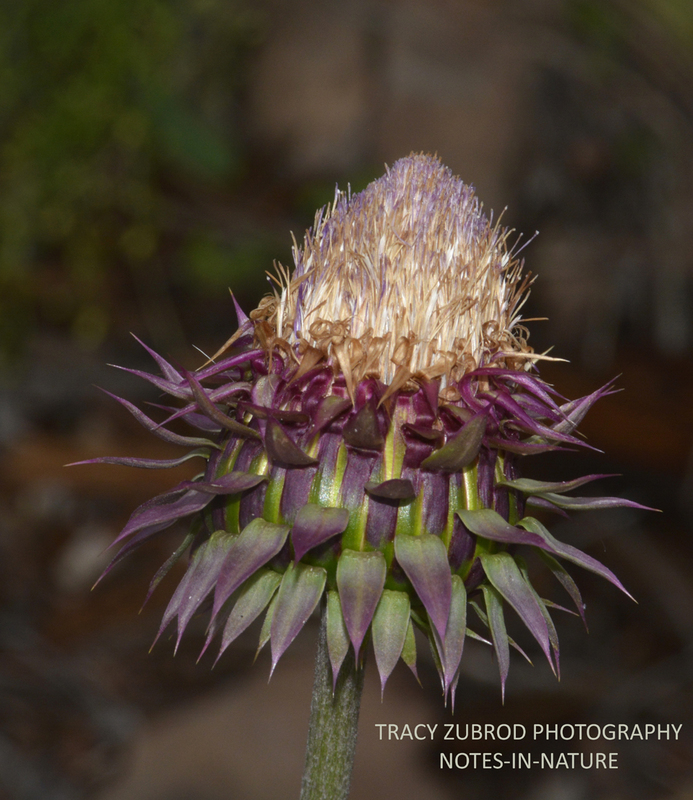 Thistle is a common name of a perennial or biennial flowering plant with an erect stem and prickley leaves. Most species are considered weeds, they are native to Eurasia, northern Africa and North America. 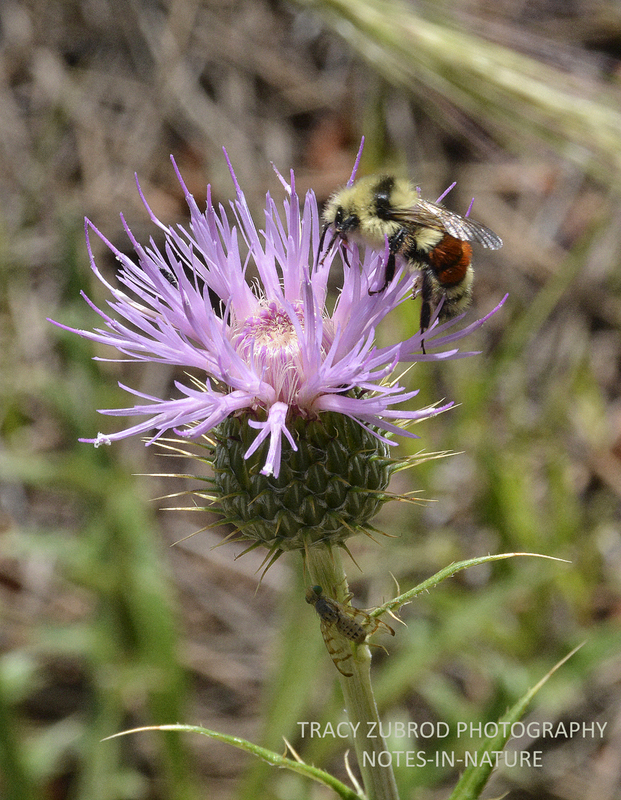 The type of thistle in the photographs, taken in the southwest, are plume thistles. 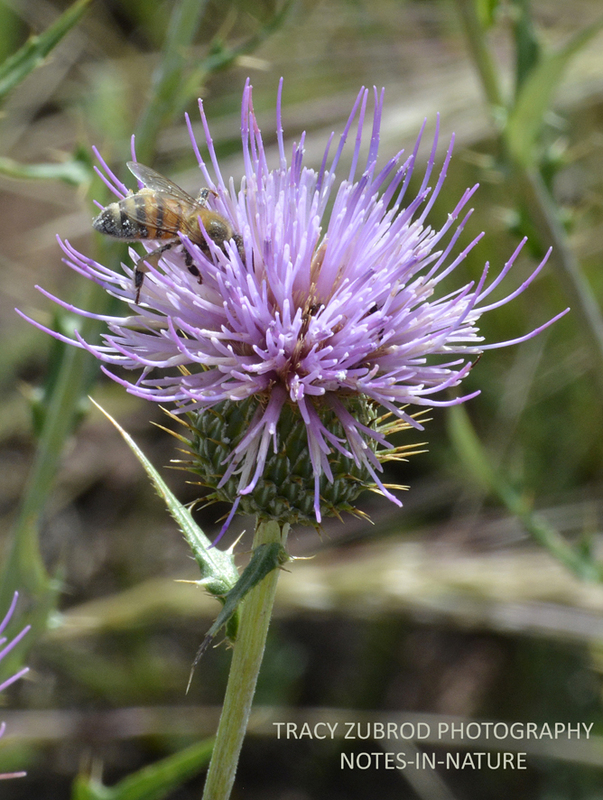 Other common names include New Mexico, bull, or desert thistle. 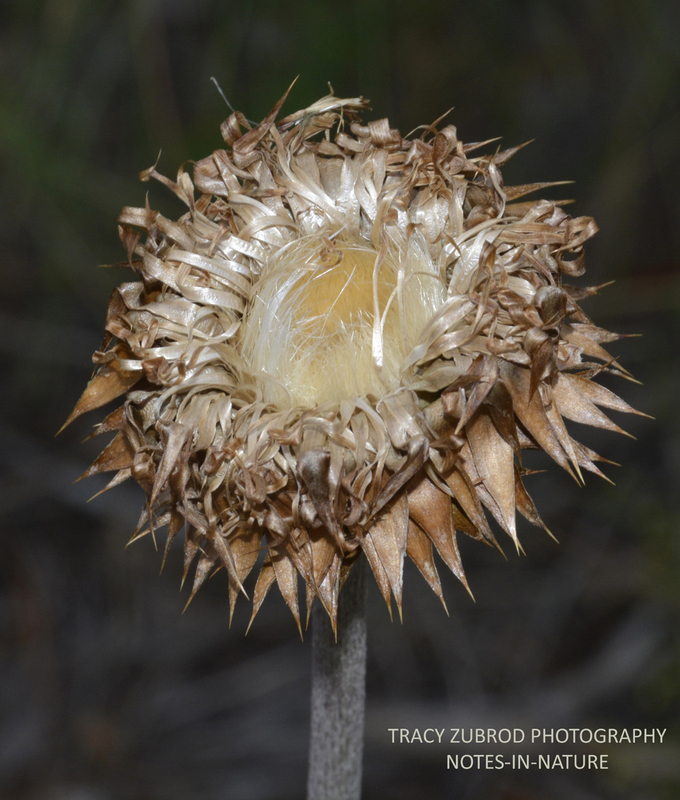 They have an enlarged base under the flower, which is commonly spiny. The flower heads can be purple, rose pink, yellow or white, they generally bloom from April to August. The seeds are spread by the wind. 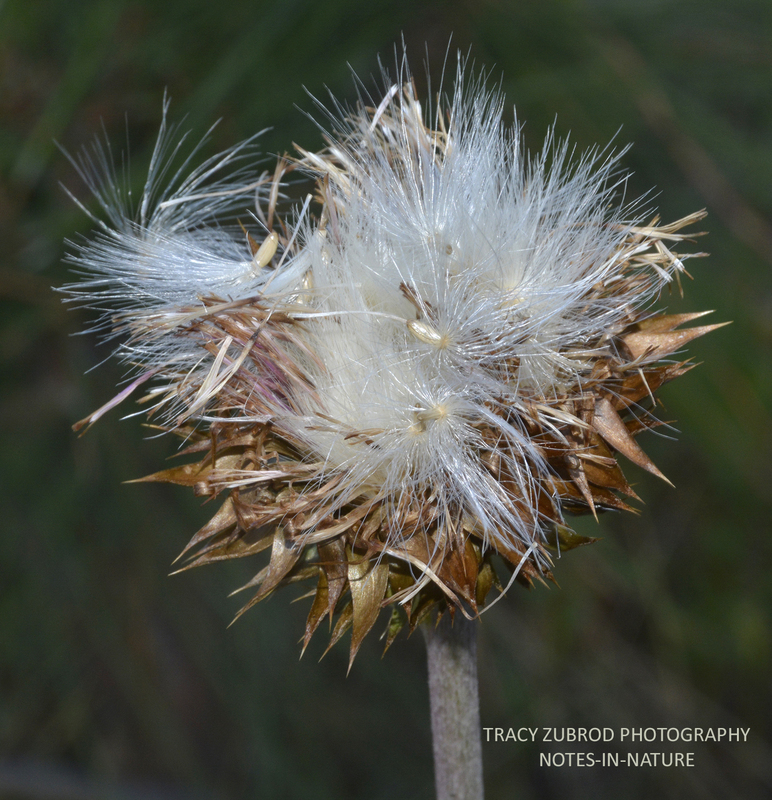 The seeds are tiny and are sought out by goldfinches and other small birds. The flowers contain a nectar source for butterflies and bees. 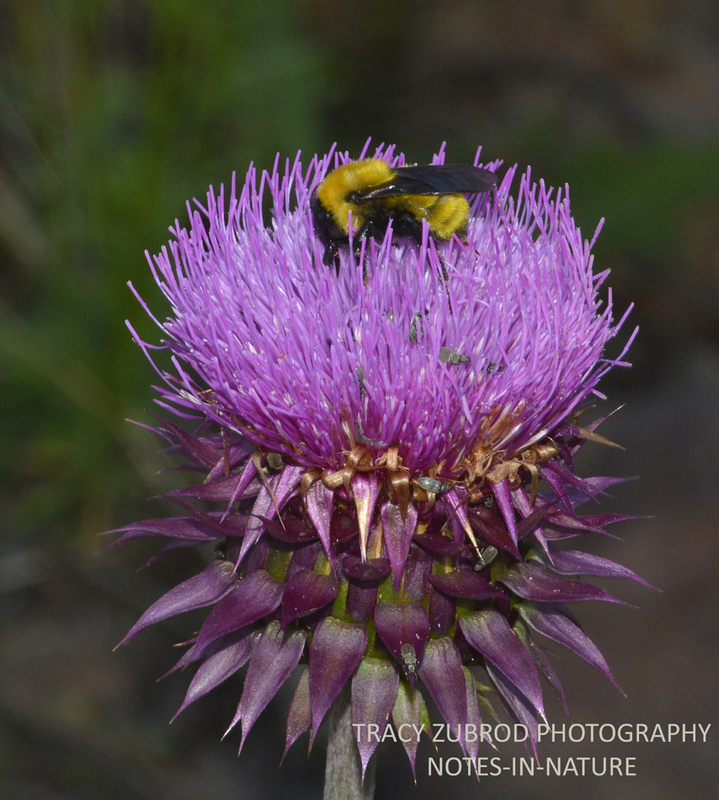 The thistle has been the national emblem of Scotland since the reign of Alexander III (1249-1286). It was used on silver coins issued by James III (1470). 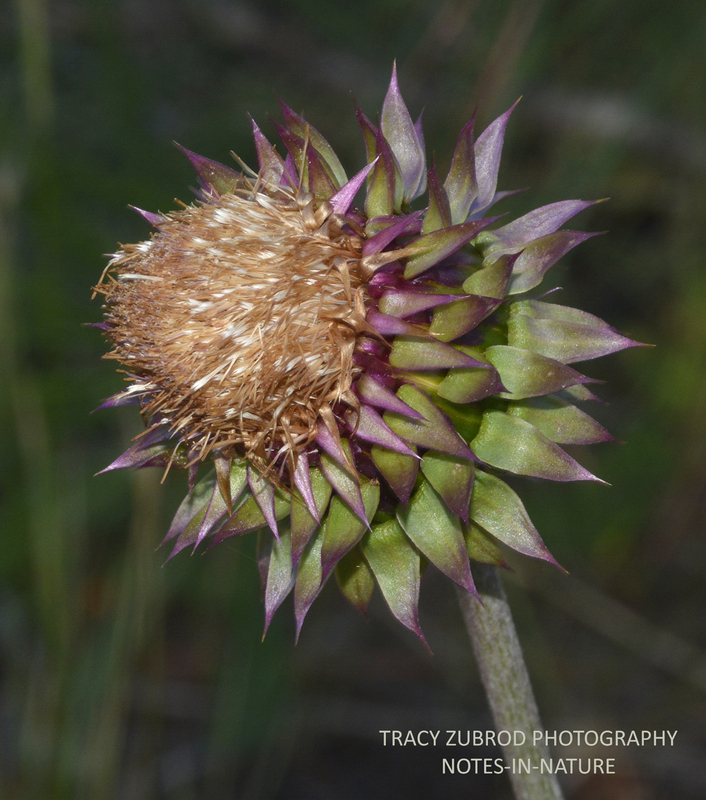 A thistle is the emblem of the Encyclopedia Brittanica, which originated in Edinburgh, Scotland. Also, it is an ancient celtic symbol for nobility of character. They trick you, “oohh look at these pretty things, let me touch it, OUCH!” I have read that a hummer can get caught in the flower spikes.